Global Notes: Oct 17 Marilynne Robinson speaking on "After Secularism"
Oct 17 Marilynne Robinson speaking on "After Secularism"
Marilynne Robinson's work asks questions of religion, science, and modernity. On Monday, October 17 at noon, we will invite Marilynne to explore some of these topics in a conversation with University of Minnesota scholars. The CSPW invites interested faculty and graduate students to register to participate in the discussion. To register for the discussion, please click here. Registration closes on Friday, September 30. 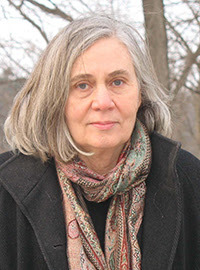 Registration is required.Marilynne Robinson is the recipient of a 2012 National Humanities Medal, awarded by President Barack Obama, for "her grace and intelligence in writing." She is the author of Gilead, winner of the 2005 Pulitzer Prize for Fiction and the National Book Critics Circle Award, Home, winner of the Orange Prize and the Los Angeles Times Book Prize, and Lila, winner of the National Book Critics Circle Award. Her first novel, Housekeeping, won the Hemingway Foundation/ PEN Award. Robinson's nonfiction books include The Givenness of Things, When I Was a Child I Read Books, Absence of Mind, The Death of Adam, and Mother Country, which was nominated for a National Book Award. She retired this spring as the F. Wendell Miller Professor of English and Creative Writing at the Iowa Writers' Workshop.